Nursing is a widely growing profession due to the reforms in the healthcare industry. Therefore, it is a great career option as it not only allows growth, job stability, and specialization in many fields but also compensates you well. If you are an aspirant who covets to make a career in nursing, then certified nurse midwife provides you the right opportunity. Certified nurse midwives are the advanced practice registered nurses who provide care to the women before, during, and after pregnancy. In addition, they also assist women with general illness and health issues in all stages of life. In some cases, they work with a gynecologist and other physicians, assisting them in treating women suffering from chronic or severe diseases. Becoming a CNM is not as easy as it looks. You need to follow a complete step by step procedure to get certified. As these midwives are APRN, so a candidate must have a minimum of ADN or BSN degree with a valid RN certificate. And, they must complete the certification course to get licensed by the regulatory authority of the state. What are the Accreditation Bodies for CNM Programs? The graduate level programs for midwifery education are certified by the Accreditation Commission for Midwifery Education (ACME). Certificate to the candidates is given by American Midwifery Certification Board (AMCB). The CNM programs are accredited by the National Commission For Certifying Agencies (NCCA). The whole process and standards of midwifery education and practices are maintained by the American College of Nurse-Midwives (ACNM). What are the Personality Traits Required for an Ideal CNM? Childbirth and delivery related issues. Wellness care, educate the family of the newborn on how to lead a healthy life, etc. To pursue a career as a certified nurse midwife, you must have completed graduation in the field of nursing from an accredited college or university. After completing the graduation, you need to become a registered nurse by completing the whole procedure. 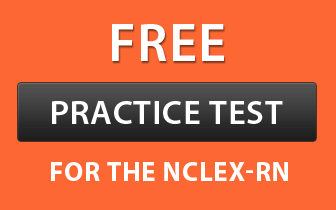 This includes- obtaining a license by taking National council licensure exam for registered nurse (NCLX-RN). Now, If you are an RN but do not have a graduate degree, you can obtain it through bridge programs before nurse-midwifery education. A candidate must complete the program/ course for nurse midwife from an AMCB accredited school that has an NCCA approved curriculum. Management of psychiatric symptoms and their assessment. Care and management of the antepartum, intrapartum, and postpartum woman. Management of complications faced by the mother, if any. Preventing the diseases and promoting health. Assessing the common primary care sign, symptoms, and managing them. Issues in nurse-midwifery professional practice. The aspirants can complete the course online or offline depending on their requirements. However, only a specific portion of the course is available online. Completing only the theoretical session is not enough to get the certificate. You have to complete the clinical practice also. This part must be completed under the supervision of either a CNM/CM or APRN, who has the clinical expertise and knowledge of the content of this domain. Management of primary care for women- reproductive health, pregnancy, etc. How to manage sexually transmitted disease in the males (1). After completing step 2 and 3, a master’s or doctoral degree will be granted, which is the minimum requirement for the certification exam. Certification is provided by a national accreditation body (AMCB). All states have to abide by their guidelines. Only the candidates who have completed their nurse-midwifery program from the Institute accredited by ACNM-ACME, are eligible to take the certification exam. Apart from following the above-mentioned procedure, there are certain other criteria that are required to be eligible for the examination. S/he must not be convicted under the jurisdiction. And, must not have any case or evidence of abuse against midwifery practices. The candidate must not have his/her previous or current nursing license suspended or revoked. S/he Must not fill false details on the application form. The applicant must submit the document of the practitioner, duly attested by the director of the nurse-midwifery program. The candidate must meet the institutional requirement for a graduate degree which is verified by the director (2). Once a candidate fulfills the above criteria, s/he must fill and submit the examination form to get his candidature approved. In addition to the form, an aspirant has to submit an examination fee. It can be paid either online or by check along with a copy of RN license. You have to pass the exam in no more than 4 attempts within 24 months of completion of your CNM programs. To retake the test, one must wait for 30 days after the first attempt. And, for 90 days for the remaining attempts. If he reschedules the exam within 2 days, no extra fee will be charged (applicable only once). In any other case, s/he has to submit the rescheduling fee. The fee for the certification exam is $500. Reexamination fee is same as the examination fee. For rescheduling the exam, you have to pay $121. For every retest, you have to submit the whole fee again. Copy of current, active license must be submitted with a written letter from U.S jurisdiction confirming the validity of the certificate. A copy of web verification of the license. The certificate is valid for 5 years. Thus, upon completion, the candidates must renew the certificate in order to continue as a CNM. For maintaining the current certificate or for recertification, AMCB proposed a method called “certificate maintenance program”. The purpose of the program is to keep the CNM certificate valid and to provide the status of the certificate to licensing authorities. There are two methods under this program through which an individual can maintain his/her certification. If you prefer this method then, you must complete 3 AMCB modules within the 5-year certification cycle. The modules consist of the below-mentioned areas. And, a candidate has to complete one out of each of the three modules. Gynecology and Primary Care for the Well-Woman. Along with this, you must obtain 20 hours of educational units, submit the fee (if any), and apply for the recertification by filling the recertification application form online (4). Note: There are several methods to complete the educational hours, like attending a conference, publishing an article, etc. These educational units must be approved by any one of the following: ACNM, ACCME, AMA, AAFP, ACPE, AANP and NPWH. The annual fee for maintaining the certificate is $55. If you wish to pay the complete 5-year fee, then you can pay $247.50. If you lose the certificate somehow or want a replacement, then you must pay a fee of $50. Note: If you failed to complete the CMP requirements then your certificate will lapse. In such case, a new certificate won’t be issued. Under this method, an individual has to appear for the examination during or after the 4th year of his certification cycle. So, if you have opted for this method and have given the test, then you can not move to option 1. Therefore, you must pass the exam before the expiration of your current certificate, i.e. by the end of 5th year. Along with this, pay the examination fee ($500) and submit the recertification application form. Health Maintenance Organizations (HMOs), etc. According to the Bureau of Labor Statistics, the employment opportunities for nurse midwives and similar professions are expected to grow by 31% between 2014-2024. This growth is greater than the average for all occupations taken together. The advancement in this sector is due to the health-care legislation, growing number of illness among women, and increased focus on preventive care. The BLS states that the annual mean salary of a nurse-midwife and similar professions is $104,740 for the year 2015. While the hourly salary for the same profession is $50.36 per hour. According to indeed.com, the average salary of a certified nurse midwife is $82,000, as of May 2016. The said wages are 42% higher than the average salary of all occupations.